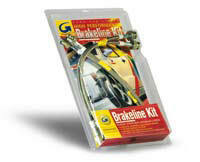 Goodridge stainless steel brake or clutch hose kits are available to suit all models of car, whatever the make. Kits feature the finest quality hose, consisting of a PTFE inner with a stainless steel outerbraid. 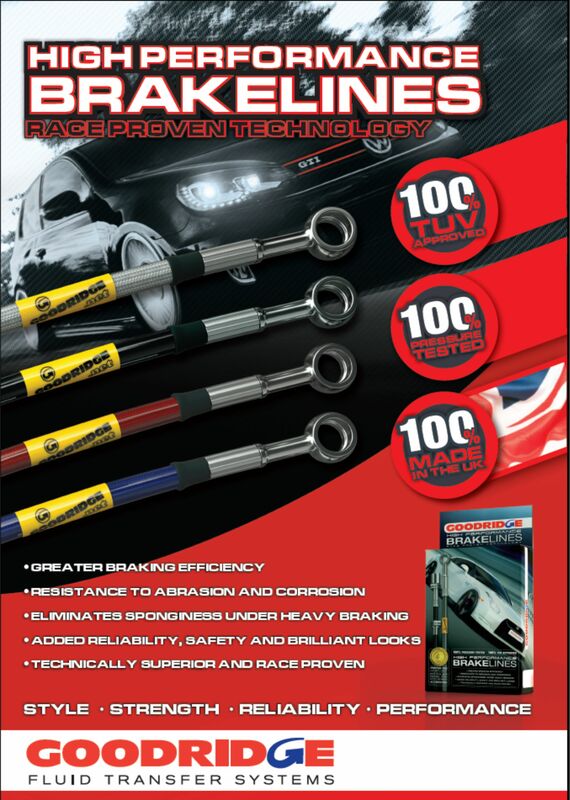 This eliminates the spongy pedal feel under arduous conditions, giving greater braking efficiency or clutch operation as well as providing superior resistance to abrasion and corrosion.These kits, therefore, not only provide the reliability and safety demanded but offer brilliant good looks that improve the appearance of any installation. Most brake and clutch lines car kit specifications are on file but any additional information is always appreciated. Construction: Produced in a stunning variety of translucent colours using a Hitrile Bonding during manufacture - it will stay flexible and will not discolour over time. This new and exciting product is designed for the driver who has fitted their car with either carbon or colour coded parts and wishes to compliment them with coloured brakelines; available in yellow, blue, red, purple, green, carbon look and clear cover. Pre-made kits are available, please call for specifications.